2.85mm filament in cool Steel Grey, need we say more? Makes you printed object look merciless. See it for yourself! It has the high Octofiber quality finish combined with the intense grey color finish. Depending on the temperature and speed settings of your printer, you can obtain different surface gloss. 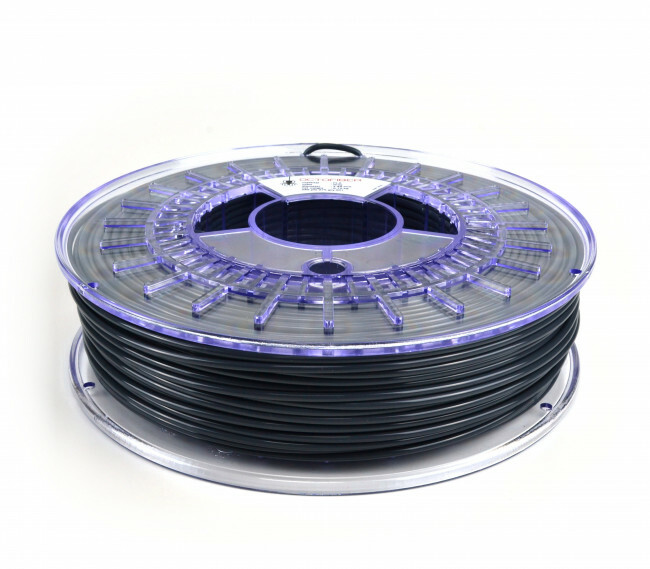 Ranging from ornaments to functional objects, this filament helps you out. It comes in the well-known Octofiber cartridge box, which keeps it untangled and dustfree as long as you have it. Octofiber PLA is produced from pure PLA and carefully monitored pigments and is processed under the highest quality controls. This ensures a consistent product, with accurate printed objects as a result. PLA is well known for its good 3D printing properties and is suitable for many applications like household appliances, toys and decorations. Many strategies are possible to get Octofiber PLA properly to your print-bed: clean glass, blue painters tape, glue stick, hairspray, special 3D printing stickers. Whichever option you choose, a heated bed is not necessary, but will further simplify good adhesion.